What kind of a dentist in Kings Hill is One Smile Oral Care? What can you expect from a visit to our surgery? What’s our philosophy? Why do we do what we do? Our practice principal is Dr Ben Mortazavi. Ben has been a dentist for more than 20 years. He has treated thousands of patients in that time. Before opening One Smile Oral Care, Ben and his team worked for many years at his practice in Snodland, Kent, before deciding to branch out into other surgeries in the area. Ben believes in teeth for life. He puts a lot of focus on preventive dentistry and uses the best modern technology has to offer to help his patients achieve this. He also does everything he can to help you feel at ease in the dentist’s chair. This includes using pain-free injection system, The Wand. Ben knows how difficult it can be for you to visit the dental surgery if you are nervous about needles or being at the dentist in Kings Hill in general. The Wand seeks to soothe these nerves by delivering anaesthetic using a computerised system. This controls the flow of anaesthesia, avoiding that bee sting feeling that usually accompanies an injection. Though is does still use a needle, The Wand looks more like a pen and so isn’t as off putting as the usual syringe. It also delivers the injection more precisely, so just the tooth that is being worked on goes numb, not your whole mouth. We also use an airflow system for scale and polish cleaning, removing the need for the hygienist to scrape away at your teeth with tools. Hygiene appointments are one of the key preventive measures we offer here at the dentist in Kings Hill. Removing hardened plaque prevents decay and disease and means you are more likely to hang onto your teeth. The air flow machine makes this treatment much more comfortable. Our regular preventive check-ups spot early signs of tooth decay and gum disease and include screening for oral cancer. Drop into our modern, comfortable surgery and have a chat with our friendly reception staff and Ben about how we can help you keep your teeth for life. This entry was posted in Dentist on 20th February, 2019 by One Smile Oral Care. Can children be affected by gum disease? Although severe gum disease is a rare occurrence in children, the early signs of it such as bleeding and inflammation can occur if they fail to take good care of their teeth and gums. Gum disease is a bacterial infection that stems from the inadequate removal of plaque from the teeth and gums. This typically occurs when children fail to brush and floss their teeth daily. However, some children may be more prone to gum disease than others. At One Smile Oral Care, our aim is to teach your children that dental care goes a long way. Our dentist in Kings Hill will examine their teeth for signs of gum disease and show them how to brush their teeth thoroughly so that plaque doesn’t stick to them. Having your children examined by the dentist in Kings Hill frequently can introduce them to a lifetime of great oral hygiene habits. Not to mention that it can help keep gum disease and other oral infections at bay. Which children are at risk of gum disease? Moreover, bad habits such as clenching your teeth can also cause gum disease. In any case, some of these conditions can be eliminated while others can be fixed completely with the help of a dentist in Kings Hill. How do I know if my child suffers from gum disease? If your child complains that their gums hurt or you notice blood after brushing their teeth, chances are that they are affected by gingivitis (early stage gum disease). Other symptoms of gum disease in children are bad breath that won’t go away and a sudden change in their jaw alignment. If your child complains about their teeth and gums, then prioritise a visit to the dentist in Kings Hill and we will look into the problem. This entry was posted in Dentist on 30th January, 2019 by One Smile Oral Care. The thing with teeth is that humans only get the one adult set and they have to last us for as long as possible. Back before we started cooking foods and eating sugary things on a regular basis, taking care of teeth might have been very easy. But now we have to contend with a daily onslaught of sugary snacks and drinks, especially when we are children. So, with only one set of teeth, it’s important to take extra good care of them and part of that is making regular visits to your dentist in Kings Hill at One Smile Oral Care. Here at One Smile Oral Care, we recommend that everyone visits their dentist in Kings Hill at least twice a year for a check-up. Certain people may need to come more often. We also recommend that everyone gets a session with our hygienist at least twice a year to remove any build-up of plaque. Plaque and your teeth, well, they live together, and are locked in a constant battle for survival. You are fighting on the side of your teeth, twice a day spending 2 minutes to remove as much plaque as possible with your toothbrush and floss. The plaque lives in your mouth and it doesn’t mean to harm your teeth, but when it eats the sugars in your food, it gives off acids. It’s the acids that damage teeth, causing holes through which decay-causing bacteria can enter. The acids also irritate and inflame your gums, and then, when they pull away from your teeth, get underneath and start to corrode your tooth roots and jawbone. During your 6-monthly check-up, the dentist in Kings Hill is looking for early signs of decay and gum disease, as well as for any damage to your teeth. Teeth do wear out, and as you get older, we need to be vigilant in checking how fillings and crowns and other restorations are holding out. If we can catch problems early, we can deal with them before they require extensive and expensive treatments. Join us in making your teeth last longer, book that check-up today. This entry was posted in Dentist on 19th December, 2018 by One Smile Oral Care. Why am I getting cavities unexpectedly? Tooth decay affects many people around the world and is one of the major causes of tooth loss globally. And even if you haven’t had cavities in years (or ever), you are still prone to them, especially as you age. At One Smile Oral Care, we offer preventive and restorative dentistry, aiming to help our patients prevent and treat cavities and gum disease. Even if you take dental hygiene seriously, chances are that you will develop cavities at some point in your life. Luckily, our dentist in Kings Hill can help you treat them before it’s too late. If you are smoking, drinking too much alcohol or take certain medications, chances are that your mouth is constantly dry. In order for food remains to be removed from our teeth properly, we need saliva and people with dry mouth cannot produce the correct amount of saliva. Salivary insufficiency can cause tooth decay, since food remains are likely to stick around on your tooth enamel for longer. Good oral hygiene can reduce this problem considerably. However, dry mouth can impair your quality of life and should be treated by our dentist in Kings Hill if possible. The quantity and quality of our saliva also depend on the foods we eat. Minerals such as calcium found in certain foods are transferred to our teeth through saliva, therefore any food deficiencies can seriously impair our oral health and encourage the formation of cavities. Everybody loves white and sparkling teeth, but some people are obsessed with teeth whitening and this can prove detrimental to their oral health. Excessive teeth whitening can eventually cause the destruction of the enamel, leading to the creation of cavities and the exposure of the dentin. Teeth whitening should be performed under moderation and always under the supervision of our experienced dentist in Kings Hill. Another element that may contribute to the sudden appearance of cavities is a reduced intake of fluoride. Fluoride is a mineral that is important for the health of our teeth. Studies have shown that people who didn’t receive the recommended amount of fluoride, were more prone to cavities and tooth decay. This entry was posted in Dentist on 28th November, 2018 by One Smile Oral Care. Maintaining good oral health is a vital part of your life. Visiting the dentist in Kings Hill will give your oral health the professional attention it needs. At One Smile Oral Care, we offer the full range of dental services in a friendly and welcoming environment. Whether you need treatment to fix an existing problem, or long-term work to transform your dental condition, we’ll provide a contemporary solution. As an all-round dentist in Kings Hill, we have a great deal of experience in preventive care. Our wealth of knowledge allows us to spot potential problems before they become major issues. That’s why it’s important to come to us regularly. There’s no need to wait until you have a worrying discomfort that won’t go away. We can deal with existing damage in a sensitive manner using long-lasting dental materials. Fillings to dental cavities can be done using tooth-coloured substances that don’t have a visual impact when you open your mouth. Chipped teeth can be improved using dental veneers. These thin segments of porcelain are securely bonded to your teeth, restoring your natural outlines. As a cosmetic dentist in Kings Hill, we often provide our patients with solutions to visual dissatisfaction. Teeth whitening is a good example. Your dental surfaces can turn a range of undesirable colours over the years. This is because food and drink leave behind trace elements, which very slowly build into unsightly stains. You can choose the shade of white you’d like your teeth to become, and we’ll achieve this using a specially formulated substance in a process that takes around an hour. Afterwards you’ll have a dazzling smile and a mouth that feels fresh. Many of our patients need a dentist in Kings Hill to transform the alignment of their teeth. We offer a range of solutions in this area. 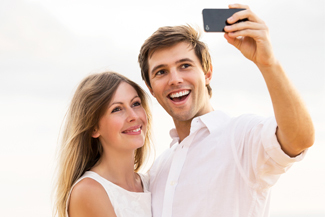 We are sensitive to your social needs as well as your dental ones, and our discreet braces are very user-friendly. To overcome the problems of missing teeth, we offer dental implants. These innovative replacements fully integrate with your jawbone and restore your natural dental stability. Visiting the dentist in Kings Hill can give you back what you’ve been missing. This entry was posted in Dentist on 14th November, 2018 by One Smile Oral Care. In a world full of advancing technology and distraction, it can be all to easy to put people in boxes and think everyone requires the same solution. While we have embraced the latest technology for our check-ups and treatments, we are ultimately here to help people. At One Smile Oral Care, we understand that everyone is different, and will talk with you to find the best solution to your dental needs. We realise that not only are everyone’s teeth completely unique, so are you. You have your own life style, wants and needs, and we will find the treatment to suit you. Whether you need a long-term plan or a quick check-up, we will give you our full attention and have a proper chat. Furthermore, many people have a fear of going to the dentist in Kings Hill. We understand that trips to the dentist aren’t easy for everyone. If you suffer from dental phobia, we will listen to your concerns, and do our best to help you feel more at ease. We believe that no one should be prevented from keeping their teeth happy and healthy. The amount of times people come to the dentist again depends on the individual circumstances of the patient. Generally, most people need to go twice a year for a check-up, but you may need to come more often if you are undergoing treatment, or have a weak immune system and gum disease. On the other hand, you may have great oral health and get away with a check-up just once a year. It’s important not to miss these dental check-ups as we can thoroughly clean your mouth, getting rid of bits the toothbrush can’t quite reach. We also give advice on how to maintain good dental hygiene. We can also see if you need treatment. The sooner this is sorted out the better, as dental problems will only become more problematic and require more invasive and expensive treatment further down the line. Furthermore, we can spot early sings of gum disease, as well as oral cancer, and your general overall health. When spotted early, they can be easily treated. This entry was posted in Dentist on 17th October, 2018 by One Smile Oral Care.